Sega Rally is probably the best known and loved racing game ever. During the late 90's, all the best Arcades had a Sega Rally machine, with people queuing to get a go. Sometimes referred to as Sega Rally Championship Twin. In this arcade classic two Rally cars race each other on three tracks: Sand (easy), Forest (medium), and Hills (hard), you need to pass the checkpoints within the time limit. There are options to compete against another player, or against the computer opponent. Sega Rally is probably the best known and loved racing game ever. 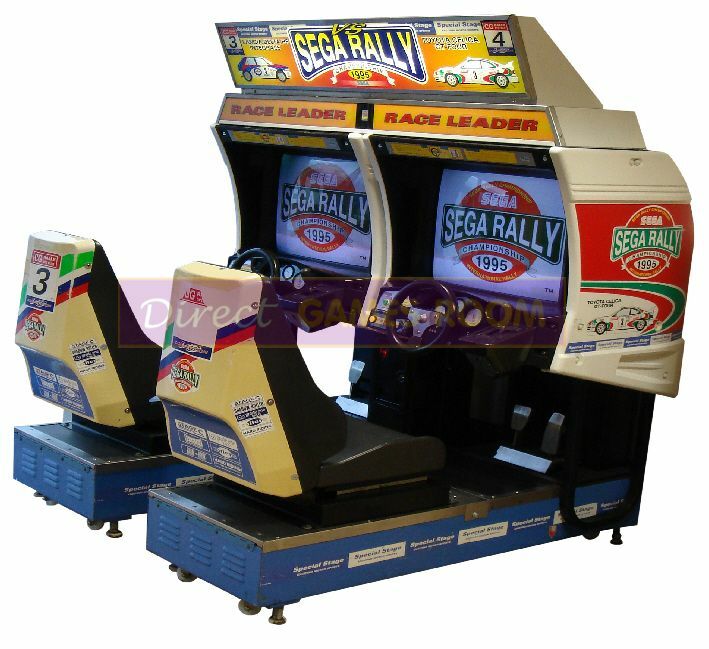 During the late 90's, all the best Arcades had a Sega Rally machine, with people queuing to get a go. Sometimes referred to as Sega Rally Championship Twin. In this arcade classic two Rally cars race each other on three tracks: Sand (easy), Forest (medium), and Hills (hard), you need to pass the checkpoints within the time limit. There are options to compete against another player, or against the computer opponent.Race your car around the tracks and earn extra time by reaching checkpoints. Sega Rally 1 has two modes: Practice and Championship. In Practice mode, you race against one car (the computer) by selecting one of three tracks and racing a number of laps. In Championship mode you race an equal number of laps per course and each successive track becomes more difficult.